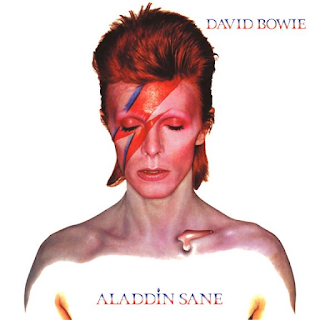 This month, the most shocking news is the death of David bowie. On January 11, bowie died of cancer in the news, let the whole world like his regret for it. Believe that a lot of media will be using the conventional "ended an era" to describe, although in today's language under the environment of lack this sentence has been bad, but this is worthy of the name, a belongs to David bowie era is over. Over the years, he brought us so much surprise, he is more than just a musician is an artist, fashion creatives, even by some people as "idol". Now is the time to honor his influence in design. Bisexual, gay, neutral wind, some ridiculous behavior beyond the conventional in that era, even in the rock also can not be tolerated. But bowie across time, geography and genre, mix all kinds of style and dress up melting pot together, finally drew a picture does not seem to be the source, and all other similar images. From Ziggy Stardust to the Thin White Duke, bowie dress has significance. He again and again to the change of the fashion, but also do more than that, he also changed the way we dress, is look at the way things, time was observed. By doing so, he leaves for designing a difficult to light faded.